Twitter’s live video streaming app, Periscope arrives on Android after two weeks of its rival, Meerkat. Periscope has a lot of competitors to tackle on the Google Play Store’s wide array of live video streaming app collection. Twitter’s app gained popularity after the fight of the century between Mayweather and Pacquiao, however the popularity was restricted to the iOS version alone. Periscope was launched in January for iOS and now four months later, Twitter’s app has finally dropped on the Android market. So what does Periscope is all famous for? It basically provides a medium to broadcast what users are doing in real time experience. The live streaming is put to the followers of the specific user. It has all the necessary features like commenting, giving hearts for appreciation and of course, sharing. The broadcast can be viewed for the next 24 hours once it has finished. The Periscope app on android has all the functionality if its cross platform counterpart. The application beholds a notification controls which have been improved according to some users. Another feature has also been added that may be useful for many. When you’re watching a broadcast and you get interrupted by a call, you will have the ability to return to your stream via ‘Return To Stream’ feature. The feature will be displayed on the home screen so you can just tap it and get back to your stream. The Android version of Periscope has been awarded with some Material Design elements that would surely go with the Lollipop version of Android. The ‘Tab’ button in iOS is replaced by a ‘Broadcast’ button in Android. The application is easy to use and pretty useful when it comes to big favorite events roaming around the social media. The app also comes with some handy alert systems like the follow alert as experienced on Twitter. 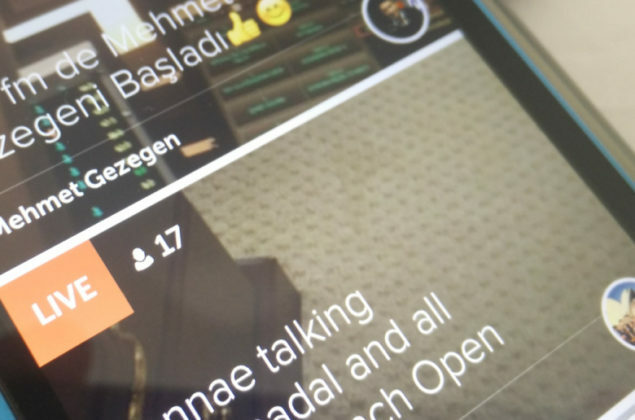 What does Periscope has that Meerkat and other live video streaming apps don’t? Its the heavy integration with Twitter that makes it carry a gigantic user-base. On the plus, the financial power that resides with it. Meerkat has to do a lot just to stay in the competition. 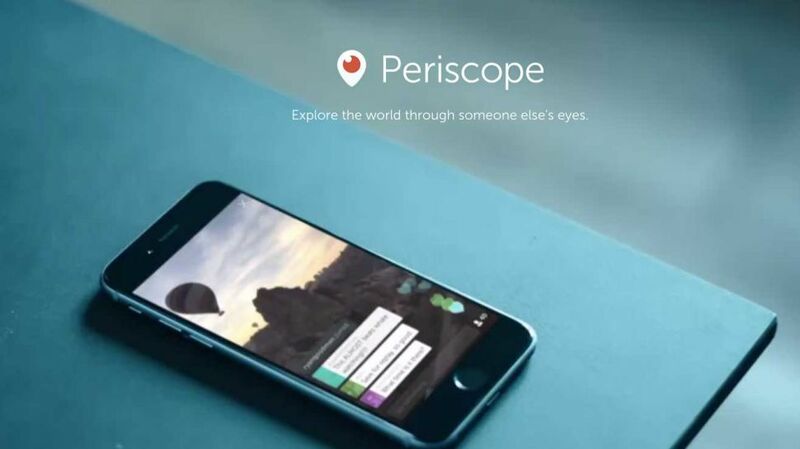 You can download Twitter’s Periscope application from Android’s Google Play Store. 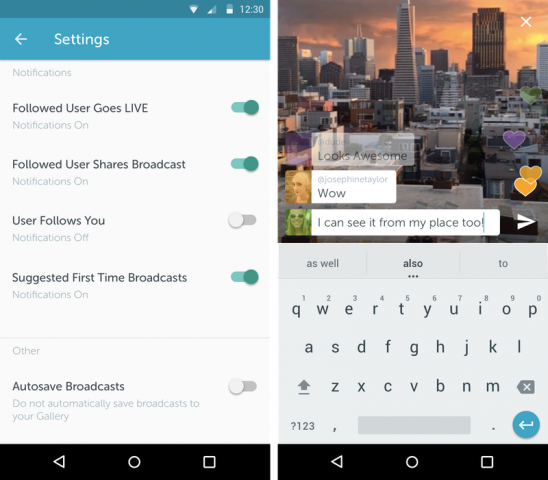 As for now, share your love for the android version of Periscope in the comments below.